Engenium | large warehouse and distribution centre for food based in Hornby. It is the largest distribution warehouse in New Zealand . 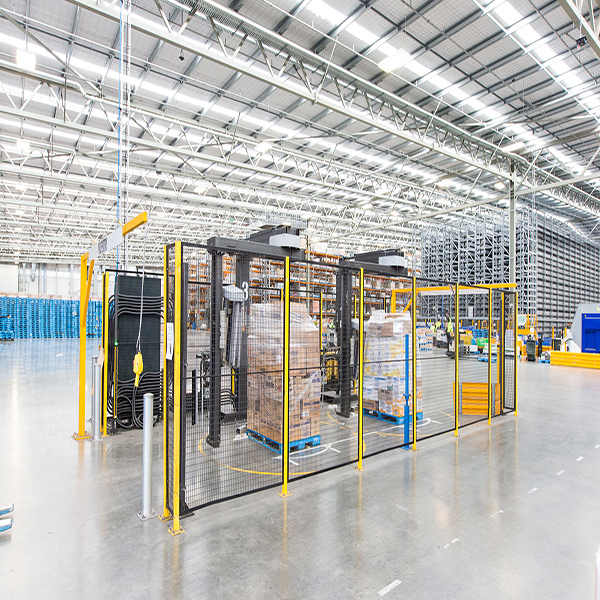 $45million Distribution Centre in Hornby, the largest distribution warehouse in New Zealand. A warehouse and distribution centre for food. In 2012 Foodstuffs commenced site ground preparation for the $45 million Ambient Hornby Distribution Centre. Construction of the new site began in 2013. Engenium provided the lead consultant services for a 34,000m2extension to an existing 10,000m2 ambient store. The extension is a post-tensioned slab-on-grade, steel braced frame structure. The new build has 20,000m2 of storage racking allowing for over 300 supermarkets to be serviced. Speaking about the new distribution centre, Steve Anderson, Chief Executive of Foodstuffs stated "The new facility gives us the chance to introduce much 'greener' energy and lighting systems, increase rack heights to 11 metres and have improved work conditions, covered dock areas and larger yard areas. Staff facilities will also be considerably enhances with plans for a state-of-the-art cafeteria, training room and amenities block." Construction of the distribution centre was completed in 2014.